We all know the bizarre Greek myth of the Titan, Cronus or "Saturn," who is so paranoid that he will be overthrown by one of his children, he eats them when they are born. When I am asked what my politcal philosophy is, I use the term or label, "Classical Liberal." This confuses my students and or political friends on both sides of the political spectrum. Usually the confusion comes from a lack of historical perspective on how terms-labels can change in history. Simply defined the, "classical liberal" of 1776, in the vein of John Adams, Thomas Jefferson, James Madison, Patrick Henry, George Mason, James Wilson et.al. defined "Liberty," as FREEDOM from Government. They were advocates of legitimate LIMITED government, versus the propensity of government to illegitimately exercise unconstitutional POWER against, We the People. Without writing a dissertation on the development and debates over the creation of our Federal Constitutional Republic, let it suffice to say that "limited government" was the common denominator that unified Americans in our Early Republic. It was the "Republican" President Jefferson, in 1801, who after defeating the "Federalist" John Adams, in one of the most contentious Presidential elections in our history declared, "We are ALL Federalists, and we are ALL Republicans." Those of us, of ALL stripes, Classical Liberals, Libertarians, Conservatives, Republicans et.al; who are lovers and advocates of Limited Government, are incredibly frustrated with the Liberal, Progressive and Socialistic, UNLIMITED Government direction of the Nation. DEBT & an UN-elected ever growing Administrative-Bureaucratic STATE that consumes the fruits of our labor, our property and our liberties at an alarming rate, is becoming more and more difficult to curtail. We the People feel there is nothing we can do about it. Will a Speaker of the House-Paul Ryan be able to STOP or at least SLOW down the avalanche of STATISM that permeates D.C.? . Will he make of difference in the battle between Limited Government verses debt-ridden, corrupt unconstitutional Unlimited government? In Chapter 16 of my book Mobocracy, titled "Wisconsin's Governor & Republican Representatives Stay The Course For The People," I discuss our Native son, Paul Ryan's dedication to limited government. I discuss how he was named Conservative of the Year in 2011, by Ronald Reagan's favorite magazine, Human Events. I discuss how Wisconsin Congressmen Paul Ryan was concerned by the ever growing, "European socialism... welfare state....debt...Obamacare..." that is plaguing our Nation. In 2011 Ryan said this: "The next two years will make or break it: whether we go back to our limited government and economic freedom or a European social democracy." Sadly, 4 years later, even with a majority in the House and Senate, we have, in America, to quote Paul Ryan, "a more cradle to grave society," than ever before, and with no end in sight. Many of Paul Ryan's promises to end BIG Government with a majority in Congress has not happened. 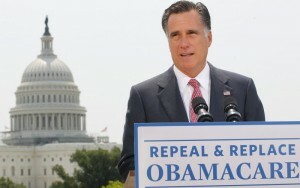 Sadly, his promise of ending 85% of Obamacare through fiscal policy has not happened. Many of my friends in Wisconsin and in the Social Media are proudly displaying their pictures with Paul Ryan, and are all excited that he might become the next Speaker of the House, who will turn things around. In contrast to that, there are a number of Conservatives and Libertarians, from Mark Levin to Ann Coulter, to Judge Napolitano and Ron Paul who are very disappointed over this latest power play. Are these critics; cynics, fanatical talking heads, "Saturn's eating their children" or are they voices in the wilderness, warning us that Speaker Paul Ryan will change nothing? Those of us here in Wiscosnin, who know Paul, know he is a wonderful family man, a man of integrity. 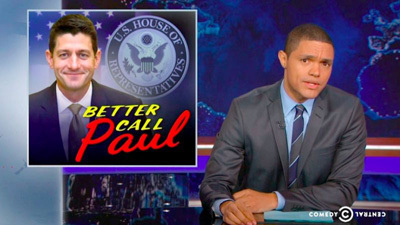 We'd call Paul in a flash over many issues. However, that is NOT the issue at hand. The issue IS: Will Paul's politcal worldview be capable of accomplishing what lovers of Limited Government , ALL want: Limited government. Time will tell. Is there enough time and enough will? Pray for Paul Ryan, pray for America, pray for ALL of us, who love our Republic. Call upon God, that we have the wisdom and the appropriate words to fit this time in our history. Godspeed Paul & Godspeed Liberty Lovers.